Fran Cook was born and raised in Pennsylvania. She has been writing since before she could write, through thought forms someone would write down for her. Writing is in her soul. Fran graduated from California University of Pennsylvania with a B.S. in Elementary Education and lived and taught Elementary Education on the Navajo Reservation in Arizona and New Mexico. Her heart is with her Navajo children in the West. Fran’s passions are cooking, gardening, sewing, hiking and biking, making Native American crafts and art, traveling, people who are in love with life, and the time she spends on Mother Earth. She plans to spend her retirement years right here and invites any who would like to join her on her Life’s Path. A former editor of the Jefferson Post, Mickeal — pronounced the same as “Michael” — lives with his loving wife of 20 years Becky in Jefferson, N.C., surrounded by dogs, cats, nieces, nephews and all the other things — mostly good things — that come from having deep family roots in a place like Ashe County. He is president of the Blue Ridge Writers Group — probably for life — and a charter member of the now nearly defunct Toxic Waste men’s softball club. He enjoys music, horseshoes and poker, though not necessarily in that order. He has written more than 200 songs and poems. Rebecca holds a BA in American Studies from Wittenberg University; a Master of Divinity from Trinity Lutheran Seminary; and a Master of Fine Arts in Creative Writing from Queens University of Charlotte. She has worked as a bartender, housecleaner, salesperson, receptionist, stock trader, aerobics instructor, freelance writer, and pastor. She left the pastorate in 2007 and now works for a private nonprofit agency providing shelter and support services for survivors of domestic abuse and sexual violence. Rebecca’s work has appeared in The Christian Science Monitor and is forthcoming in The Gettysburg Review and Alimentum. A flash fiction story was named a finalist in the Press 53 Open Contest. Gene Hafer has a strong interest in Ashe County’s history. In 2001, soon after returning to his boyhood home, he joined the Ashe County Historical Society and continues to devote time and attention to that organization. Gene brings to his research valuable knowledge acquired from business operations and many years experience as a Raleigh lawyer. He has used that knowledge to assist a large number of nonprofit groups with organizational needs. The story of Adam Roberts intrigued him, with its focus on a man of outstanding talents and many successes here in Ashe County. Edith Pierce Jones had a career in service to Ashe County as a government secretary and accountant. She also owned and operated Parkview Tourist Home for over thirty years. She has been an officer and trustee of Chestnut Hill United Methodist Church for over seventy years. Her international missions of friendship and goodwill have taken her to twenty-five countries on six continents. In 2009 the Town of West Jefferson proclaimed “Edith Jones Day” in recognition of her lifetime efforts for the betterment and beautification of the town. In 2010 Mrs. Jones received the Ashe County Senior Volunteer of the Year Award. Ron grew up as a “military brat” and lived in many places across the world as a child, but has called North Carolina home since his father retired from military duty in 1969. Ron graduated from North Carolina State University in 1980 with a BS degree in Wildlife Biology. After graduation, he worked at NCSU as a Research Technician in the Department of Botany studying the effects of air pollutants on plant ecosystems. Ron and his wife, Suzanne, own and operate Big Horse Creek Farm, a small off-grid farm/orchard/nursery operation in Ashe County, specializing in the collection and propagation of heritage apple trees. Barbara Kidd Lawing is a freelance editor and performance poet who instructs writing classes at Florence Art School and Central Piedmont Community College. Publications include magazine articles and a book of poems; two novels are in progress. Find her at barbaralawing.com. D.G. Martin has hosted North Carolina Bookwatch on UNC-TV since the series’ third season in 1999. A Yale Law School graduate and former Green Beret, Martin has been involved with public service and politics throughout his life, including stints as interim Vice Chancellor for Development and University Affairs at both UNC-Pembroke and North Carolina Central University, and as the Carolinas Director of the Trust for Public Land. Martin writes a weekly newspaper column, “One on One” and has been a popular guest writer and panel moderator for Ashe County’s On the Same Page Literary Festival. Nicole Osborne is currently a resident of Boone, NC; she studies Recreation Management at Appalachian State University. Some of her hobbies include hiking, backpacking, reading, knitting, and quilting. Nicole is originally from North Wilkesboro, NC, and has strong roots in Ashe County. Writing has always been one of her favorite pastimes. After earning her degree from Duke in Creative Writing, Kimberly continued her study of the human condition at Cornell studying Human Environment Relations. She spends her days writing what some would call non-fiction explaining better human-computer interfaces to computer programmers, and was happy to turn her writing in more literary directions for this book. Her writing continues to be inspired by the rich narratives and colorful characters of her native North Carolina and she returns home as often as possible. A North Carolina native, Janet was born and raised in Southern Pines, but, growing up, spent many of her summers in the western part of the state while her father worked in the area. She now enjoys a second home in West Jefferson. After her retirement from state government, Janet began a second career as a freelance writer and from 2003 to 2009, published over 100 stories in Our State and Signaturemagazines, including many articles inspired by people and places in Ashe County. She also wrote for several episodes of UNC-TV’s Our State program. 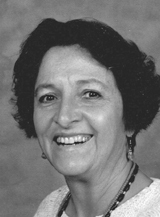 A native of Alabama, Diana Renfro lived most of her life in Charlotte, NC, where she worked in clinical nutrition before turning to creative writing. Inspired by Spain and its people, she completed her first novel, Spanish Doors with the help of a grant from the Charlotte Mecklenburg Arts and Sciences Council. She later received a grant from the NC Arts Council and worked as Writer-in-Residence at Headlands Center for the Arts in California. She now lives on a farm in Grassy Creek, NC, where she is nurtured by prolific gardens, animals and the wide-open sky. Sam Shumate was born in Warrensville, NC, April 19, 1937. Upon graduation from Lansing High School he entered the US Air Force in 1955. After a four-year enlistment he earned an A.A. degree from Lees McRae Junior College and went on to Appalachian State, where he graduated with a B.S. in 1963. He also earned his M.A. degree from Appalachian State University. Sam retired from a career in teaching in 1992. His writings range from a “Most Unforgettable Character” inReader’s Digest to his memoir: The Bridge Crew: Growing up in the Blue Ridge Mountains in the 1940s and 50s. He and his wife Linda live in the home built by his grandfather in Warrensville. Lee Smith is the author of 15 works of fiction including Oral History, Fair and Tender Ladies, and her recent collection, Mrs.Darcy and the Blue-Eyed Stranger. Her novel The Last Girls was a 2002 New York Times bestseller as well as winner of the Southern Book Critics Circle Award. A retired professor of English at North Carolina State University, she has received many awards including the North Carolina Award for Literature; and an Academy Award in Fiction from the American Academy of Arts and Letters. Becky Stragand grew up in Indiana but has had a lifelong love affair with the mountains of North Carolina. She is a graduate of Indiana State University and has been a teacher most of her adult life. Becky is an adjunct instructor at Western Piedmont Community College teaching computer applications classes. As a writer, she is a former Sunday columnist with the Morganton News Herald and participates in Wordkeepers and the Ashe Arts Council’s “Night of the Spoken Word”. She writes non-fiction pieces, poetry and short stories. Becky lives in Ashe County with her husband Peter, golden retriever and cats. Pierrette has studied language and story since beginning a Bachelor of Arts in English. She has also earned an M.A. and a Ph.D. These degrees were both detour and meaningful meanderings around the edges of creative writing, which, it turns out, is her first and true love. She is now pursuing an MFA in creative nonfiction at Queens University in Charlotte. She has several publications in journals and magazines. Her work has been nominated for the 2011 Best of the Net Award and has earned an Honorable Mention in New Millennium Writings. Chris Arvidson lives in “downtown” West Jefferson in Ashe County with her husband Henry. She has worked for non-profit conservation organizations, Habitat for Humanity, and in higher education as a teacher and professional staff. Currently she works for the National Committee for the New River. A couple of years ago she founded the writers’ salon “Wordkeepers” with Scot Pope and Julie Townsend. She is a member of the organizing committee for the On the Same Page Literary Festival and serves as Chairman of the Ashe County Board of Elections. She earned an MFA in Creative Nonfiction from Goucher College and has published her writing in magazines, literary publications and newspapers. In 1992, Scot Pope “escaped” the rat race in Charlotte, NC to live a simple, humble life in the Creston community of northwest Ashe County. Before leaving Charlotte, he studied Creative Writing at Central Piedmont Community College under the tutelage of Barbara Lawing. After his arrival in Ashe County, he joined the Blue Ridge Writers’ Group and continued to write poetry and short stories. Scot has read his works at various venues in Ashe County including the Ashe County Arts Council’s Coffeehouse as well as the annual Arts Council’s Night of the Spoken Word. Along with Chris Arvidson and Julie Townsend, he is a founding member of Wordkeepers. His poem “Walking Woods Alone” was published in the Iodine Poetry Journal. In addition to writing, Scot is also a professional photographer and musician. You can still get lost in Ashe County, North Carolina, and GPS won’t help. Once called The Lost Province, it’s a place of gravel roads, gorgeous mountains, and the first tricklings of the New River. And, here there are writers. 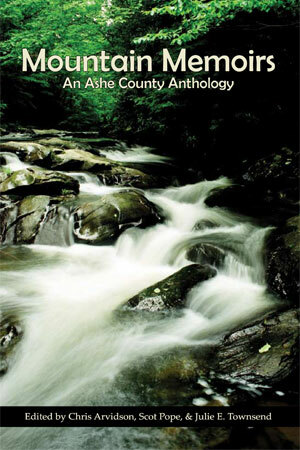 In Mountain Memoirs: An Ashe County Anthology, twenty of them craft works about their relationships with this frequently beautiful and sometimes mysterious corner of the North Carolina high country. They write about its mysteries, its beauty, and the people who are sometimes lost and sometimes found in the landscapes. Something about this particular little place–amongst the peaks and on the riverbanks–inspires writers. They live here and visit and hideout and work. Some are well known, like Lee Smith, Clyde Edgerton and D.G. Martin. Some are known only locally. Like the very small towns that sparsely dot the area, the writers in this anthology are sprinkled in the hollows and along the river, writing stories, poems and essays about how this very specific place has shaped, changed and informed their lives and the lives of those around them. Lee Smith invents a young academic from another century who is studying the flora; Clyde Edgerton crafts poetry evocative of the sense of his corner of the county. From editor Scot Pope, a concentration of the “Essence” of the place is offered; others like D.G. Martin and editor Julie Townsend, profile people whose characters shape their attachments to this place. Each of the twenty writers brings their words to evoke the sense, and sometimes nonsense, of this small corner of big mountains and the old New River. Be the first to review “Mountain Memoirs” Click here to cancel reply.